IT environments in organizations today face more challenges than ever before. Server rooms are crowded, infrastructure costs are climbing, and right-sizing systems is often problematic. In order to contain costs there is a push to use resources more wisely by minimizing waste and maximizing the return on investment. Virtualization technology was developed to answer these objectives. More and more organizations will deploy (or are in the process of deploying) some form of virtualization. However, parts of an organization's systems may use earlier storage equipment. 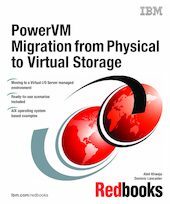 In these contexts, knowing how to migrate from physical, often direct-attached storage, to a virtual storage environment becomes valuable.